*Important* due to its tiny size this candy corn alone is not suitable for children under 3yo. 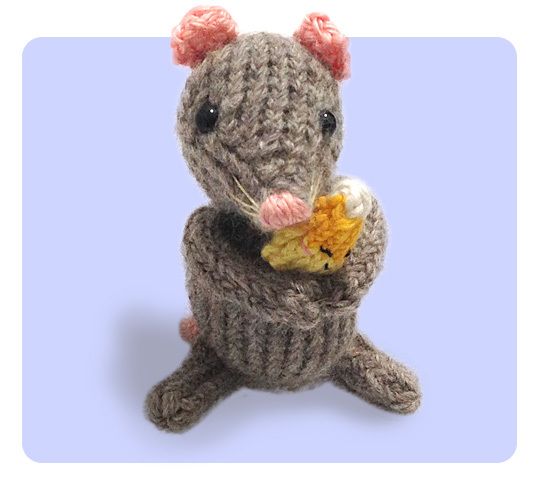 If you are making it with the mouse, please ensure you stitch them together very tight so they will not separate when pulled. 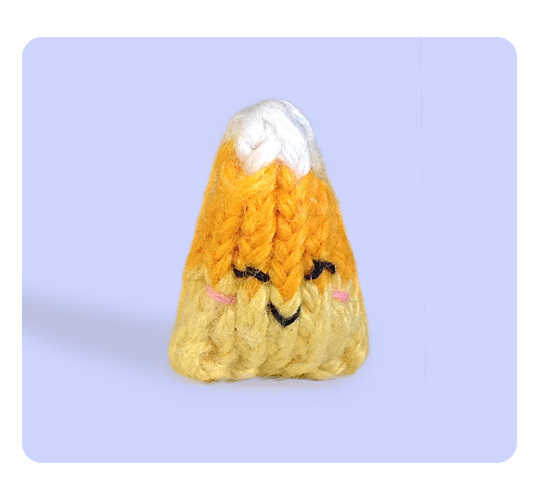 So, here comes the tiny candy corn, yet another free Halloween knitting pattern! This super cute free knitting pattern is designed by Anna Hrachovec, and you can find it here. This pattern is easy to make (I would’ve put it down as very easy if not for the requirement to knit with DPN). There is nothing tricky about this pattern other than the tiny size itself. It’s my first time knitting with size 0 needle and it’s quite challenging in a very fun way :). 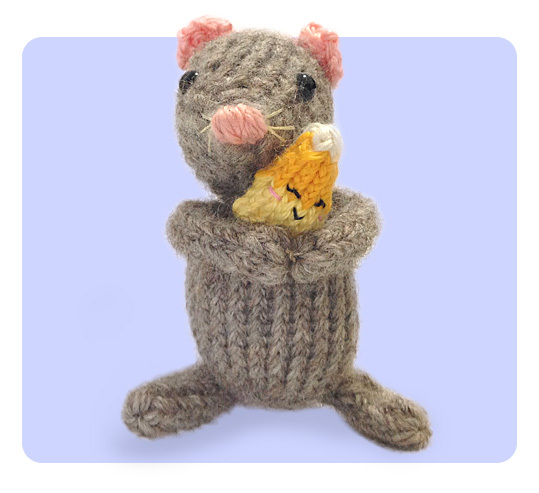 I’ve used a grey sewing thread to join my knitted mouse hand together — it’s just a light stitch so I can cut the thread off anytime later. (DPN) double pointed needles, candy stuffed toys, cute amigurumi toys, easy knitting patterns, face embroidery, free knitting patterns, halloween gift, kid toys, knitted food, knitted toys, tiny stuffed toys. Bookmark.